The weight consists of a few disk plates from a fitness set found at a thrift store. There is a short pipe section with two end caps screwed on to act like an axle and hold the weights. Two short lengths of 2x4 wood extend up to the main arm, where another pipe section held by end caps acts as a hinge. 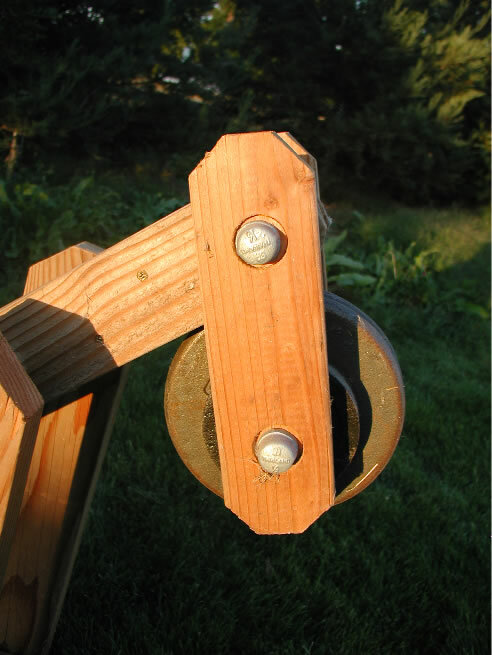 The hinge allows the weight to fall vertically down, rather than swinging in a full arc if it was attached to the end of the arm. 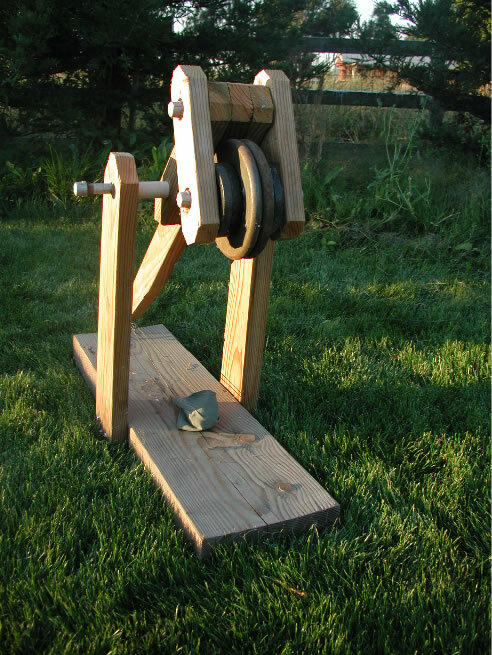 This increases the throwing efficiency of the trebuchet. When full loaded, the weights rest against the arm and lean to the back a bit.